It was with these words that another act of Islamic terrorism was announced to the world. 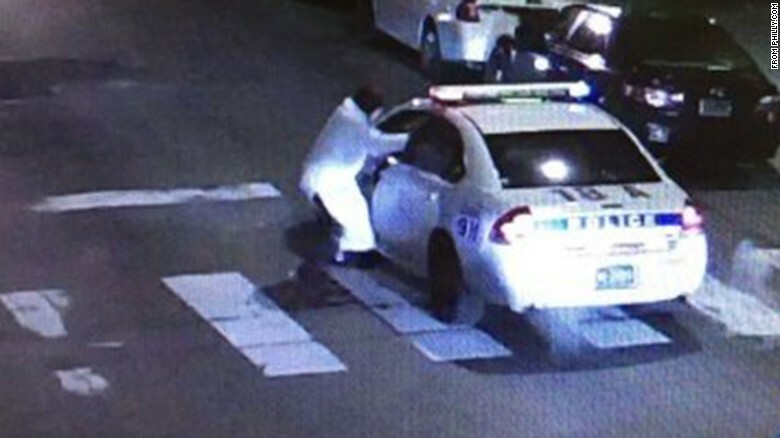 It was Thursday, January 9, at 11:40 p.m., when a man dressed in Islamic clothes approached the car of Philadelphia police officer Jesse Hartnett and unloaded 13 bullets at point-blank range. The police officer survived due to his bulletproof vest. Three bullets ripped apart his left arm, and, with blood pouring out of a ruptured artery, Hartnett gave chase after Edward Archer. Archer, 30, soon admitted that he committed the attack on behalf of ISIS. Under police questioning, Archer was specific about his alleged motivation: “I follow Allah. I pledge my allegiance to the Islamic State and that’s why I did what I did.” Archer, who is from a Philadelphia suburb, traveled to Saudi Arabia in 2011 and Egypt in 2012, FBI Special Agent Eric Ruona said. And yet, with the attacker’s confession and the FBI stating that he had traveled to the Middle East, Philadelphia Mayor Jim Kenney still said the shooting had nothing to do with Islam. The attack in Philadelphia comes at a time of heightened fears about terrorism nationwide, occurring a little more than a month after a husband-and-wife pair in San Bernardino, California, murdered 14 people in the name of ISIS. And hours before the shooting in Philadelphia, Federal prosecutors announced that two Palestinian men who were born in Iraq and came to the United States as refugees had been charged as part of terrorism investigations. We cannot place blame on the entire Muslim community. Like any religious group, it has its good and bad individuals. And the last thing we want to do is alienate the majority of moderate Muslims and corner them into bonding with Hamas, Islamic Jihad, al-Qaeda, Hezbollah and ISIS. Donald Trump’s recent proposed ban on all Muslims entering the United States is not what we want. But at the same time, we must not be in denial as to where the roots of this terrorism comes from. According to the Koran, the Islamic commandment of jihad (holy war against the infidels — Jews and Christians) is the cure to the illness of the Islamic nation and is the first and foremost commandment for all Muslims striving to achieve victory and introduce the rule of Islam worldwide. It’s apparent that Philadelphia Mayor Kenney and the many Democrats that he associates with do not know this simple fact. There is a direct association between Islam and Islamic terrorism. Just ask Obama what the “I” in ISIL stands for. If we can’t identify our enemies, we are sentencing democracy to death by Islamic terror. If we can say “Jewish terrorism,” and arrest Jewish terrorists today in Israel, Kenney and Obama can say “Islamic terrorism.” Islamic terrorism has been around since the 7th century. It is very well documented. According to some scholars, though Islam teaches Muslims not to kill women, children or the aged, jihad is an unlimited offensive to bring the whole world under Islamic law. Saying the words “Islamic terrorism” is not hate speech. It is free speech that enables global law enforcement to investigate and locate those who seek our very destruction. We can no longer bury our heads in the sand. If we do, we might just lose them.